When did McM. and Kester purchase the Wonser's brand? become Sole Props.? Is the square Wonser's container the Mcm. 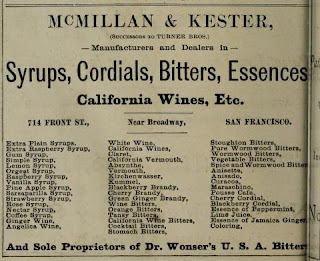 and Kester's contribution to the Western Bitters scene? Looking at this ad again and I guess I can answer my last question. 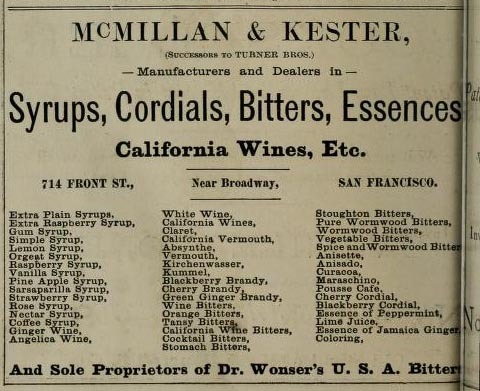 DR.WONSER'S U.S.A. BITTERS same embossing as on the square. 'INDIAN ROOT' gone from the embossing.